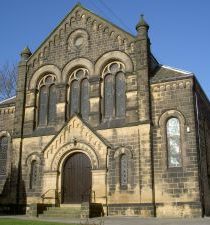 Church Stewards have been around Methodism since the 18th century when John Wesley recognised that ministers need local support to oversee the arrangements in each church for worship. So, the role is tightly woven into the DNA of the Methodist Connexion. While Church Stewards are responsible for practical things, such as looking after visiting preachers, and making announcements – that’s not where it ends! Work in a team to support each other, with two Stewards “on duty” each Sunday. There are also 11 other church members who act as “Occasional Stewards” to help ease the pressure on the Stewards Team, so as to achieve the aim that no Steward needs to be on duty more than once a month. Stewards are expected to attend official church meetings, e.g. Church Council and to be on one of the church groups as the Stewards’ Representative. Also a commitment to prayer, people, worship and encouraging of gift in others. If you feel you might be interested in becoming a Steward or Occasional Steward, please contact any of the stewards to find out more.